The main promise of smart thermostats is that they save money. Another great benefit is the ability to access them from anywhere via a smartphone app, tablet, or laptop. They can save you money and the ability to access from anywhere can be handy. These are certainly great features, especially the saving money part. But they can be component in a larger home automation system. Best is always a relative term but we’ll give you the information you need to determine which smart thermostat is best for you. 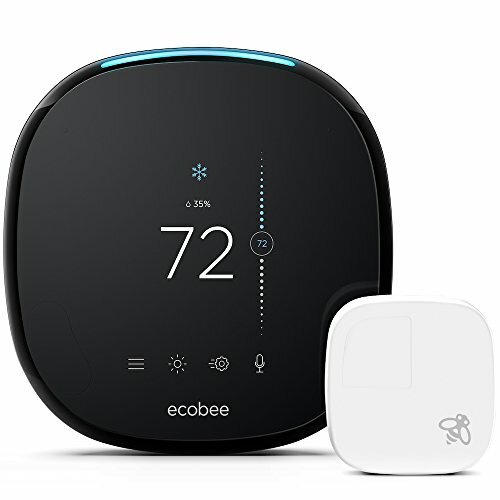 The Ecobee4 Smart Thermostat is the best smart thermostat on the market today. With most of the products we compare there are trade offs between the various products. While that is still technically the case here the winner is very clear cut and almost completely without any trade offs. The Ecobee4 has one major advantage over the competition. The addition of a separate motion sensor and ability to add more motion sensors. Some of the other devices offer detection of when you’re home with geo-fencing. Geo-fencing is when your phone is used to track your location and when you enter a defined perimeter around your home. This sounds great in theory but in reality it can sometimes be unreliable. Even if the manufacturer has managed to sort it out well it assumes that everyone in your family will have their phones on their person and fully charged. On and guests don’t count. The other great feature it has is that it integrates with almost everything. Apple HomeKit and Google Assistant are covered. It also includes Amazon Alexa. Notice I said “includes” and not “integrates”. The Ecobee4 can act as an actual Amazon Echo speaker. Impressive. The Nest Smart Thermostat was started by a former Apple employee that was in charge of the iPod. The company was later bought by Google. Google bought DropCam and integrated them into the Nest brand to offer a robust smart home suite of products. 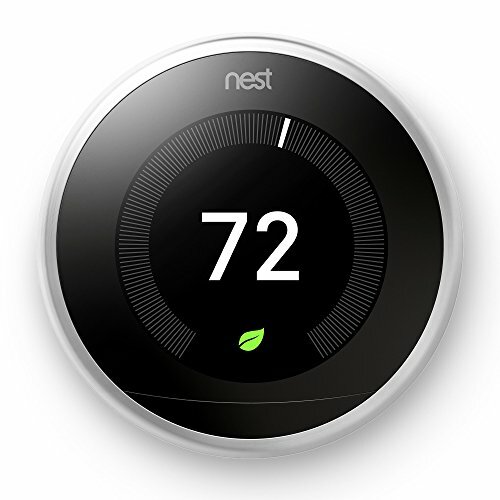 The Nest Thermostat was the first of the smart thermostats and is still one of the best options on the market. The breadth of features are nearly as good as the Ecobee4 and the ability to use the Nest Protects as additional occupancy sensors is nearly as good as the Ecobee4 remote sensors flexibility. The smartphone app is very well thought out, as is the web interface. The only real drawbacks are the lack of Apple HomeKit integration and the slight lack of flexibility of using smoke detectors for occupancy detection versus dedicated sensors that can be placed specifically where needed. One of the best things about the Nest thermostat though is it’s large network of integrated products. 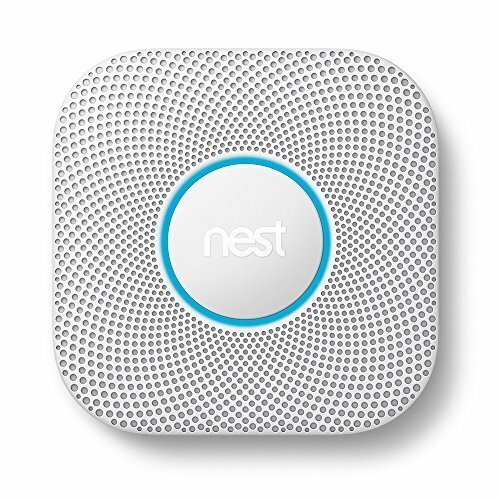 Being first to market and having the weight of the Google brand behind it has allowed it to build a very large network of products that connect with the Nest product line. This could be a factor for you if you have already selected some other products and would like to integrate them together. Or you may be attracted to the strength and reliability offered by the Google-backed Nest system. Whether you opt to go with Nest for it’s features or the network it’s a compelling option and only bested as a thermostat by the Ecobee4. 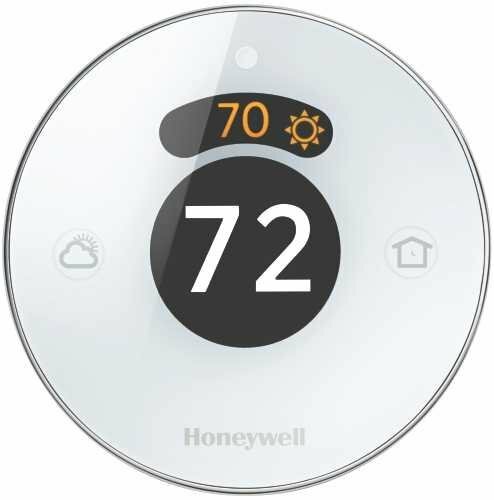 The 2nd generation of the Honeywell Lyric Round smart thermostat is a good product but not the best for the money. The Lyric relies on geo-fencing. Geo-fencing is the process of using GPS tracking of your smartphone to identify your location. Then a designated distance from your home is used as a “fence” to determine if you are home or not. Geo-fencing is reasonably good but can sometimes be unreliable. The use of sensors throughout your home is a much more effective solution. Unfortunately determining whether you are home or not is very important. This is crucial for the main selling point of smart thermostats which is saving you money by conserving energy when you’re not home. The good news however is that the Lyric Round pairs with Google Assistant, Amazon Alexa, and Apple HomeKit. It also integrates with other smart home hubs. You can likely integrate with a 3rd party product to determine occupancy better. 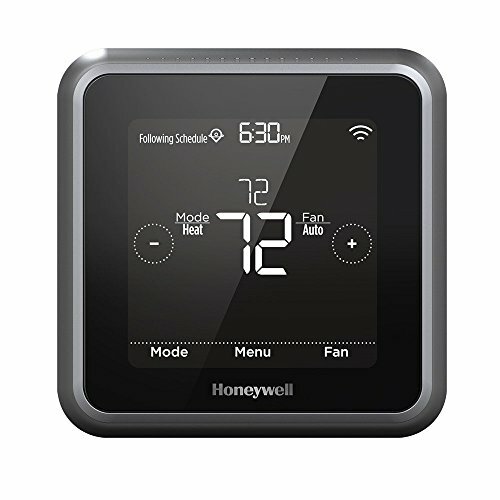 The Honeywell Lyric T5 is an incredible bargain compared to the competition. It offers the most important features of the competition but for far less. It’s attractive but the interface design isn’t quite as attractive as the unit itself. A reasonable tradeoff. It uses geofencing to determine occupancy which is effective but not quite as effective as multiple sensors placed throughout your home. 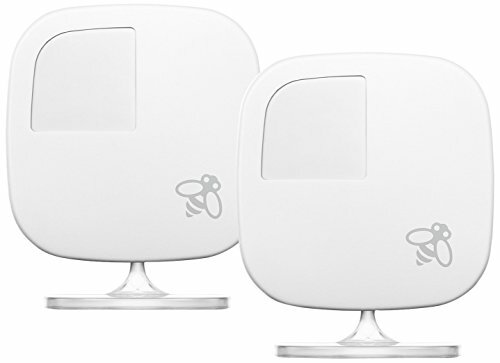 It does pair with Apple HomeKit as well as Amazon Alexa so you can likely supplement presence detection with third party products. The Wiser Air Smart Thermostat from Schneider Electric is a pretty interesting product with some good features but has one very glaring omission. It currently has no ability to sense when you’re away from home. Adjusting temperatures while your home is unoccupied is the most ideal time to conserve energy. The Wiser Air works on a unique premise of having you not focus on temperature and focus on your comfort. It tends to automatically inch the temperature toward the edge of your desired “comfort zone”. This can be annoying until it starts to begin to learn your preference. The feature I like most about the Wiser Air is somewhat more of a novelty but a fairly useful one. It has a backlighting that casts either a blue glow when it’s cooling or a red glow when it’s heating onto the wall behind it. That relatively simple feature is handy and would be nice to see added to the competing models. Schneider Electric plans to continue to evolve the feature set of the Wiser Air. It currently supports Amazon Alexa and IFTTT but not Apple HomeKit or Google Assistant. Hopefully they’ll add that support soon. The addition of geofencing at a minimum would be worthwhile however if they added remote occupancy sensors that would be a huge benefit. The primary use of a smart thermostat is to conserve energy when you’re away from home or otherwise find opportunities to conserve energy. Some smart thermostats can integrate with a larger smart home system which can allow for additional options or provide input information for the smart home system to act upon. For instance, the occupancy sensors or geofencing options of the thermostat can be used as a trigger for having things happen when you arrive home or leave. The smart home systems can also supplement the occupancy detection of the thermostat. Integration with systems like Amazon Alexa, Google Assistant, or Apple HomeKit can give you the ability to verbally ask what the temperature is or verbally set the temperature by saying something like “Alexa, set the temperature to 72º”. They definitely can if you take advantage of their features. The main feature that will help save you money is a thermostats ability to detect whether you are home. They also learn your preferences which they can use to find opportunities to conserve energy. 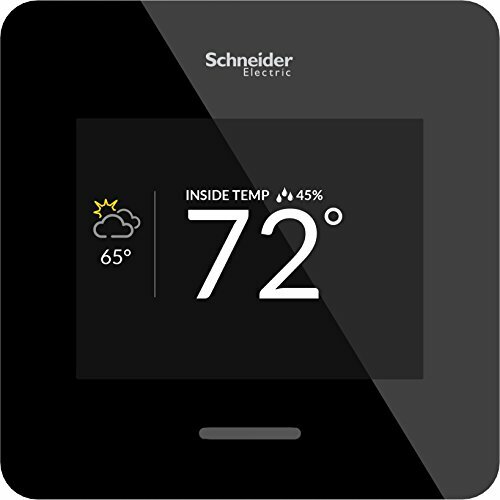 Also, some thermostats will adjust temperatures toward the edges of your comfort zone to maximize efficiency. The EPA Energy Star program determined smart thermostats can save as much as $180/year. How Does a Smart Thermostat Know When you are away? Different thermostats use different methods to determine when you are home or away. 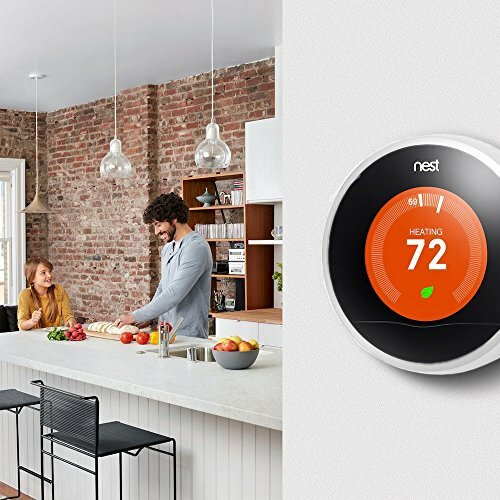 The Google Nest Learning Thermostat uses the motion sensor built into the thermostat to determine if you’re home. This isn’t ideal since you may not frequently pass by your thermostat. Because of this they offer the Nest Protect Smoke Detector with a built in motion sensor to also determine when you’re home. The Ecobee4 comes with a remote motion sensor you can place anywhere in your home and you can purchase multiple sensors to supplement it. The sensors also report back to the primary thermostat what the temperature is at the sensors. 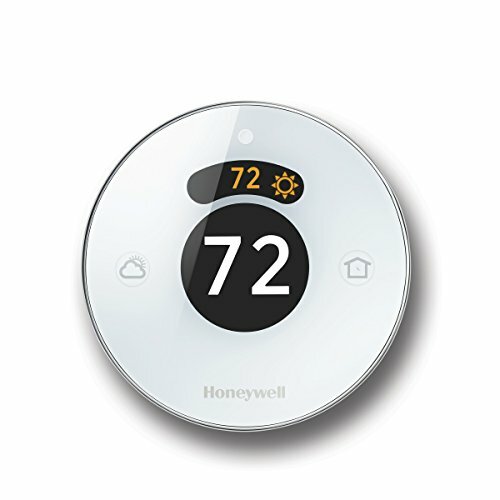 The Honeywell Lyric thermostats use geofencing to determine if you’re home or not. The app on your smartphone uses the GPS of your phone to report back to the thermostat where you are. If you’re outside a predetermined perimeter around your house it will assume your not home. The Ecobee4 is the winner in our opinion. It checks all the boxes. It integrates with almost everything and uses multiple remote sensors for occupancy detection. Nest comes very close but doesn’t integrate with Apple HomeKit and the Nest Protect Smoke Detectors aren’t quite as flexible for extending occupancy detection as the remote sensors that the Ecobee4 offers. Honeywell and Schneider Electric offer some compelling options and the Honeywell Lyric T5 is especially compelling as a budget-friendly alternative. Your personal preferences and needs will dictate which route you go. All of these products will continue to evolve and many will improve with software updates. Good luck and happy automating.